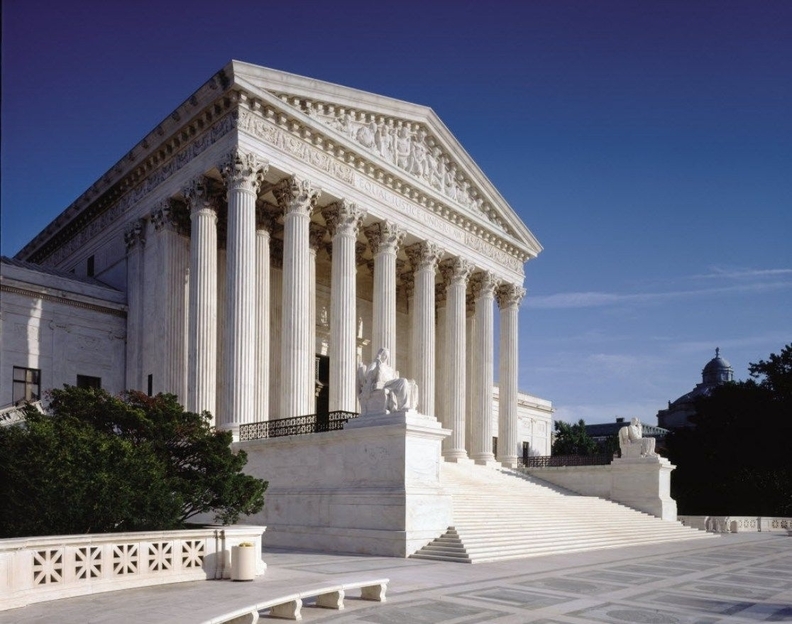 The U.S. Supreme Court on Monday appeared skeptical of arguments that they should subject faith-based health systems to federal pension regulations. The eight justices considered three cases on Monday involving Advocate Health Care, St. Peter's Healthcare System and Dignity Health where federal appeals courts determined the faith-based systems did not qualify for a so-called “church plan” exemption from the Employee Retirement Income Security Act. For three decades, the Internal Revenue Service, Department of Labor and Pension Benefit Guaranty Corp. have treated faith-based organizations' pension plans as exempt from ERISA. If the appellate decisions are upheld, the health systems and other large and small faith-based organizations will have to comply with ERISA's disclosure rules, fully fund their pension plans and pay PBGC premiums. The decision could affect the retirement benefits of more than a million employees around the country. The systems say their pensions are well funded but a ruling against them could force them to pay billions in penalties in the lawsuits. The systems have said that would result in them being able to provide less charity care or eliminate their pension plans altogether. “Countless” pension plans have been structured based on faith-based organizations' beliefs that they fell under this church plan exemption, relying on hundreds of letters from the Internal Revenue Service, Department of Labor and PBGC that affirmed that status, according to the health systems' counsel Lisa Blatt. Reversing that longstanding practice would “unleash a torrent of unintended consequences,” she told the eight justices. The health systems have argued that Congress intended to allow church agencies – including health systems, schools and other organizations supporting the church's religious mission – to create their own ERISA-exempt pension plans. Although several justices questioned whether the underlying congressional statute supports that argument, Chief Justice John Roberts and Justice Sonia Sotomayor both pointed out that the federal agencies obviously had a similar reading of the law. Similarly, Justice Anthony Kennedy noted the faith-based systems relied in good faith on the federal agencies' interpretation. But pension beneficiaries are concerned that this provides massive corporations like Dignity – one of the largest health systems in the country – with an unfair advantage over its competitors that Congress never intended. Faith-based organizations don't have to insure their plan's benefits, meet ERISA vesting requirements or clarify rights to future benefits. “(Congress) wanted a close tie between the church and plan,” the beneficiaries' counsel James Feldman said during oral arguments Monday. If the church isn't involved in the pension plan, there's no reason an organization should receive ERISA exemption, he said. The federal government has sided with the hospitals, with Deputy Solicitor General Malcolm Stewart telling the justices that Congress expanded the church plan exemption in the 1980s to include church-affiliated organizations' pension plans after the IRS denied an exemption in the 1970s.